A Healthy Recipe: Roasted Root Vegetables from me + Playing with the Basics Workout= a healthy, happy, balanced life! ???? Roasted Root Vegetables are a simple side dish for any meal, grab a rotisserie chicken, a crusty loaf of bread at the store and you’ve got an amazing meal ! I love this Roasted Root Vegetables recipe. . . red potato, celery root, and sweet potato toss with olive oil and fresh herbs makes such a tasty side dish. I adore roasted vegetable! They’re so simple to make and go along with almost every meal. Roasted Root Vegetables will be your new favorite way to bring in healthy vegetables to your family dinners! Here are a few more recipes to inspire healthy veggie sides: Spiced Roasted Whole Cauliflower, Browned Butter Broccoli and Mizithra Cheese, Browned Butter, Parmesan, and Almond Green Beans, and Roasted Butternut Squash with Gorgonzola Cheese ! Roasted Root Vegetables are a tasty and super simple way to serve with any meal! 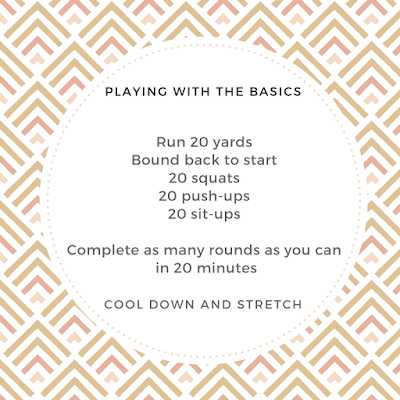 Let’s keep Fit Friday simple all the way through! Ruthie has given us a great recipe for a simple side dish. Sometimes we forget how great simple can be. Instead we start looking for complicated, unique, and different things thinking that those things are the secret. If you are one of those people I am sorry to say that you are wrong, the complicated things are not the secret. Nope, the secret lies in the power of the simple, the power of the basics. 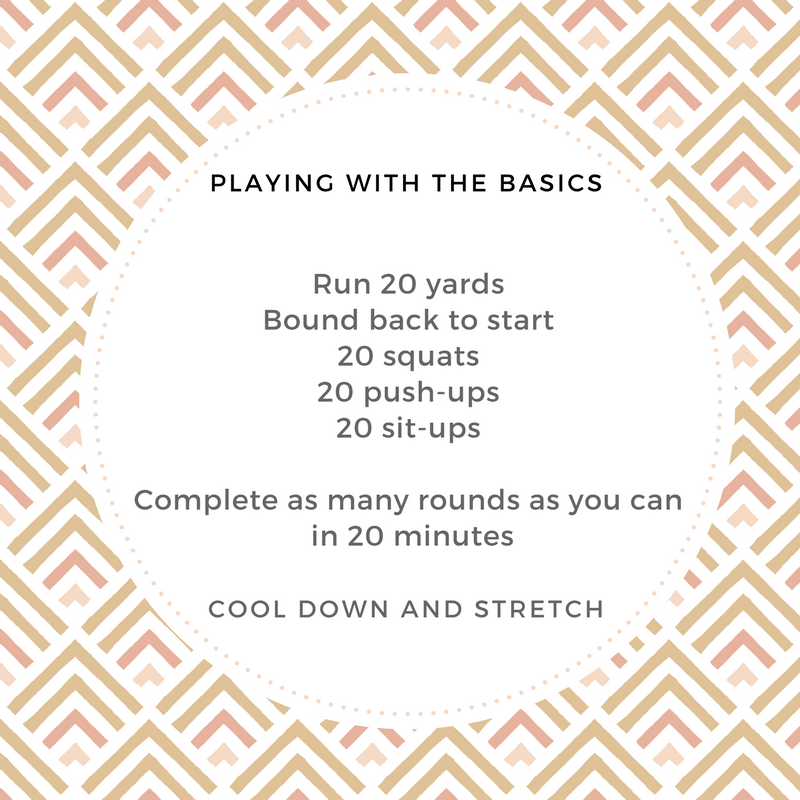 Today we are keeping it simple with our workout too. We are sticking with basic movements that we all know. As a kid you ran, jumped, and played. Today we are going to keep on running and jumping, and if you can make it seem like play too it will be so much better! This workout isn’t complicated. It requires both speed and form though. As you get tired those squats may become more like a half squat, don’t let them! Remember; bounding is a moving squat jump. Start and end in a squat. Work hard! Enjoy your Fit Friday of simples. Toss all ingredients in large bowl and evenly spread on baking sheet. Bake 25-30 minutes until softened and edges are crisp. Sprinkle with coarse sea salt and additional herbs if desired.